An extreme pressure (EP), exceptionally adhesive, non-foaming industrial oil with good water-separation characteristics. Heavy-duty, extreme pressure (EP) lubricant, capable of taking the high, instantaneous loads encountered in many applications. Superior to ordinary "circulating oils"
The extreme pressure (EP) gear lubricant for severe service in hypoid gears, manual transmissions and all types of industrial gears. Specially formulated to meet the most demanding requirements of all types of enclosed gears such as spur, worm, hypoid and all of their many variations. An extreme-pressure, enclosed gear lubricant formulated for heavy-duty service. 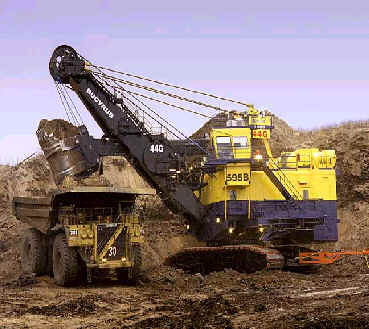 Specially developed for the mining industry where heavy shock loading of the gear sets can lead to premature failures. Engineered to provide exceptional protection and extended gear life in all heavily loaded gearboxes that are exposed to extremes of high and low temperatures. STAY IN GRADE SHEAR STABLE VISCOSITY for better temperature / viscosity stability. HIGHER TIMKEN OK LOAD for better extreme pressure performance. HIGHER 4-BALL WELD POINT & LWI for better load carrying performance. HIGHER FZG FAIL – 14th STAGE meaning much better wear protection. EXCELLENT OXIDATION RESISTANCE for thermal stability at elevated temperatures. GREATER DEMULSIBILITY IN LESS TIME for easier water separation. API GL-5 PERFORMANCE LEVEL for the most severe conditions of automotive use. Typical Industrial gear oils do not formulate to meet this high level of performance.